Shaped like a little fox, this darling hematite-plated ring will dazzle and delight! 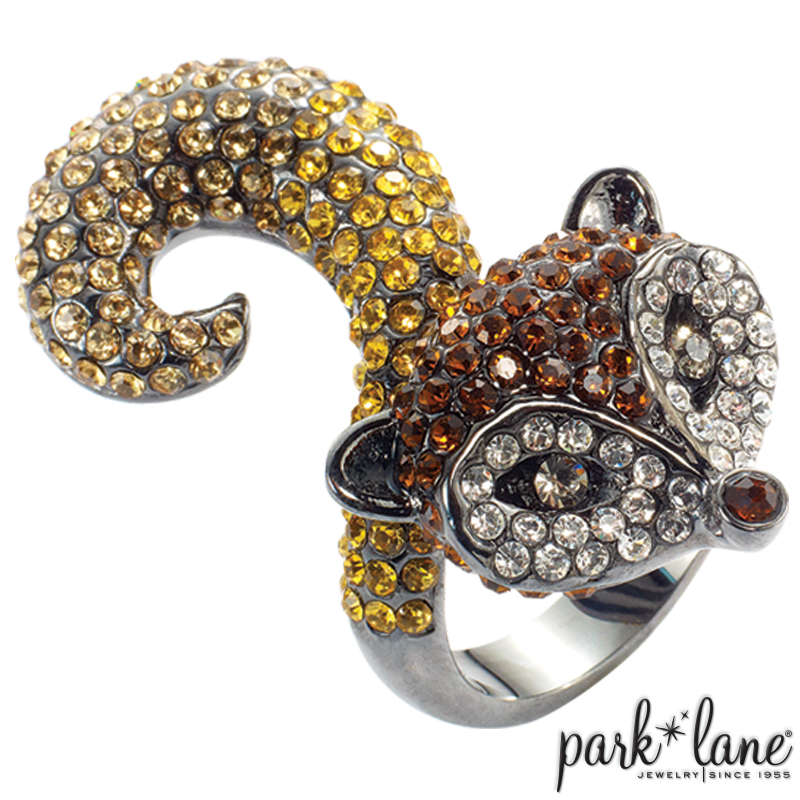 From the tip of her nose to the tip of her tail, FOXY LADY ring is ablaze with colorful sparkle and amazing detail! Complements: Going Wild brown bracelet. Safari, Amaretto, Purr,Truffles ring.